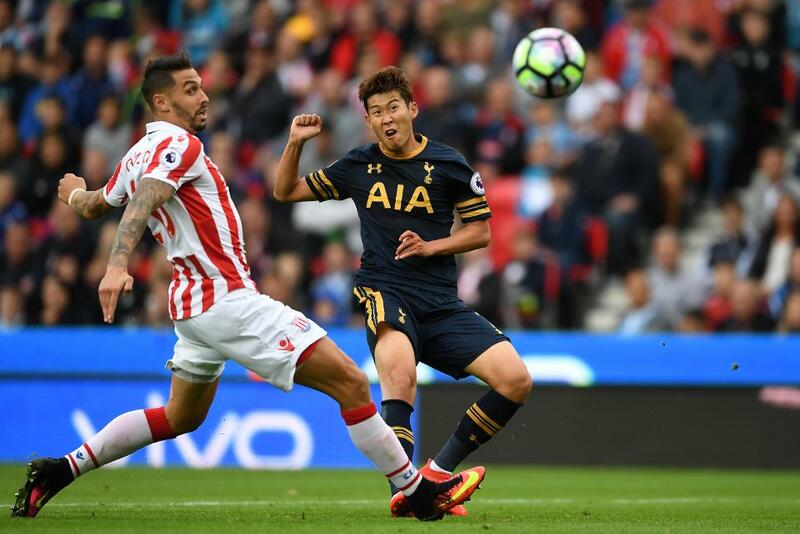 Tottenham Hotspur dominated the Fantasy Premier League bonus points thanks to a convincing 4-0 victory over Stoke City at the bet365 Stadium. Son Heung-min (£7.4million) picked up the maximum bonus points, earning a score of 58 in the Bonus Points System (BPS) - the highest of any player in Gameweek 4 so far. In his first start of the season, the South Korean claimed two goals and an assist, supplying three key passes and making six recoveries. Kyle Walker (£5.6m) and Christian Eriksen (£8.4m) both received two bonus points, scoring 35 apiece in the BPS. Walker supplemented an assist with five clearances, blocks and interceptions (CBI) as Spurs collected a second clean sheet of the campaign. 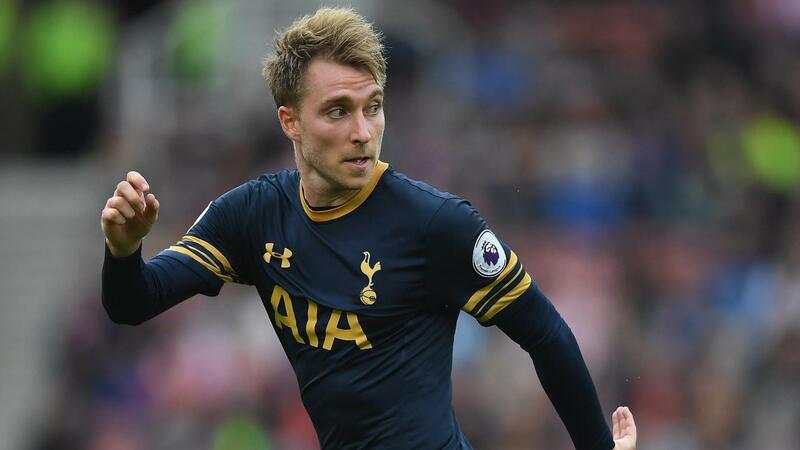 Eriksen provided a pair of assists against the Potters, in addition to five key passes and five recoveries. Son and Eriksen clinched the top two spots in the ICT Index with scores of 17.8 and 15.9 respectively. After his two goals, Son was first. He also registered three attempts on goal, all from inside the box, and created a trio of scoring opportunities. Eriksen led the way for Creativity with a score of 63. The Denmark international added to his two assists by carving out five chances for team-mates and completing 15 passes in the final third. Fellow midfielder Dele Alli (£8.4m) made it a clean sweep of the top three places for Spurs. Scoring his first strike of the 2016/17 campaign, the 20-year-old had five attempts on goal inside the box and completed 19 passes in the attacking third, more than any Spurs player. Mauricio Pochettino’s decision to put Erik Lamela (£7.1m) on the bench allowed Son to take up a role on the visitors’ left at the weekend. Lamela was the only Spurs attacking midfielder to play from start to finish in the first three Gameweeks but with Moussa Sissoko (£7.0m) also handed minutes off the bench, Pochettino looks set to utilise a greater degree of rotation around UEFA Champions League matches. He also now has Mousa Dembele (£5.5m) available for selection after the Belgian completed a six-match suspension. At the back, Hugo Lloris’ (£5.4m) recovery from injury saw goalkeeper Michel Vorm (£5.0m) immediately drop to the bench. Ben Davies (£4.9m) came in for Danny Rose (£6.0m) at left-back after the latter was ruled out with a hamstring problem. For the home side, Wilfried Bony (£7.3m) was given his first start since arriving on loan from Manchester City. Although he failed to score, the Ivory Coast international had four attempts on goal and registered 10 touches in the opposition area, suggesting he could take advantage of Stoke's improving schedule of fixtures. Joe Allen (£4.9m) was stationed in the central-support role behind Bony, with Bojan Krkic (£6.0m) again utilised from the bench. Allen created more chances (four) than any team-mate and took six of the hosts’ 10 corners. At the back, new recruit Bruno Martins Indi (£5.0m) was immediately fast-tracked to Hughes’ starting XI alongside Ryan Shawcross (£5.0m) in the heart of defence. The Dutchman registered 16 CBI, more than any home player, and completed both of his attempted tackles.